Groupon doesn’t enjoy the prestige it once had. It’s famous deal-a-day coupon model led to the website becoming a household hit in the 2000s, but more recently it’s struggled to remain popular. 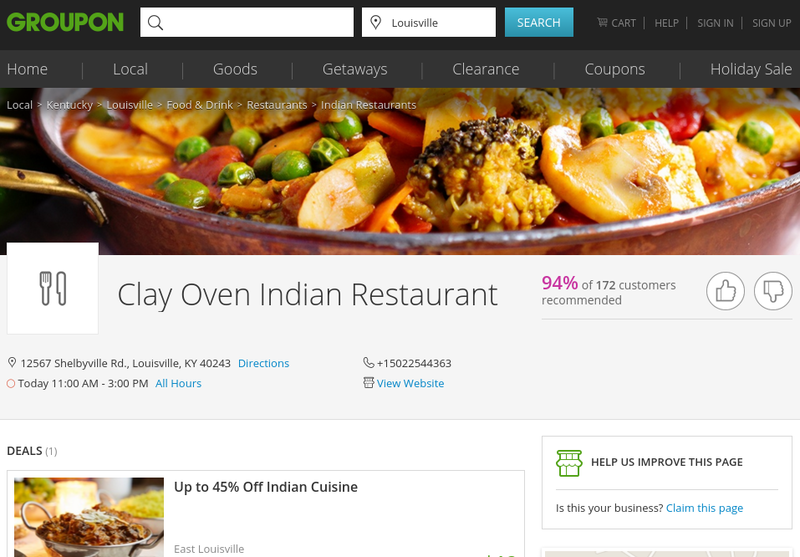 But rather than give up the ghost, Groupon has relaunched itself with a new design that’s focused on business listings. You can think of Groupon now as a kind of Yelp or Yellow Pages 2.0. It’s a great deal for consumers, because not only can they find the business they’re looking for, but they can also purchase cheap coupons for each business Groupon lists. Check out the discount at this Clay Oven Indian Restaurant listing for example.